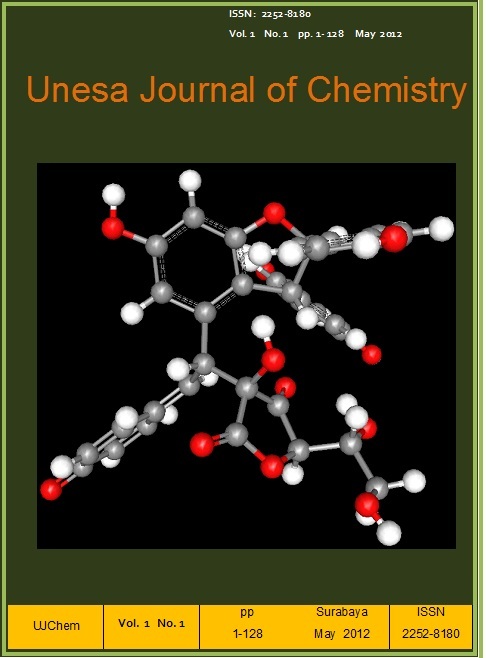 UNESA Journal of Chemistry is online Journal covering all aspects of Chemistry. The journal publishes original research paper and review articles. Department of Chemistry, Faculty of Mathematics and Natural Sciences, Surabaya State University, located at Jl Ketintang, Surabaya, East Java, Indonesia. 60231.